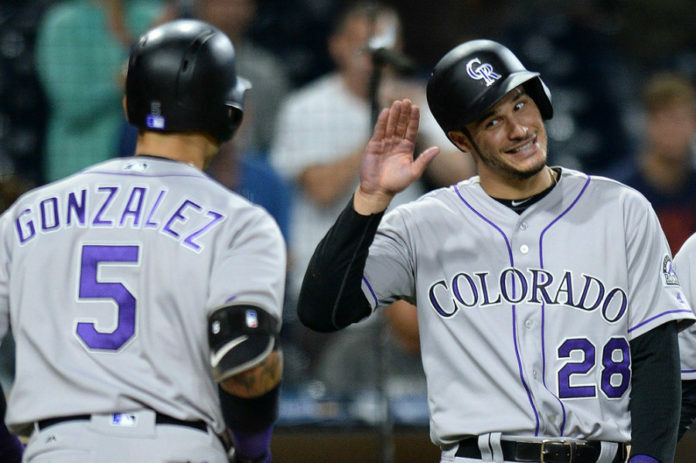 The second MLB All-Star voting update is out and things are looking good for Colorado Rockies players Nolan Arenado, Trevor Story and Carlos Gonzalez. Both Arenado and Story currently rank second at their respective positions in voting, with Areando racking up 841,147 votes and Story with 714,160. 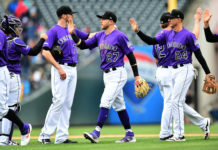 The only bad news for Arenado and Story is that they both rank behind Chicago Cubs, a team with a massive fan base in their hometown and nationwide. Arenado trails Kris Bryant by 331,570 votes (roughly 28 percent). The race at shortstop is much closer, with Story trailing Addison Russell by only 118,031 votes (14 percent). Carlos Gonzalez ranks ninth among National League outfielders in votes with 329,761. 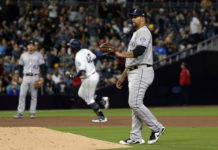 Carlos Gonzalez has been selected to two previous Midsummer Classics, while Arenado made his first appearance last season. Story will look to be selected to the game as a rookie. The game is slated to be played on the 12th of July. 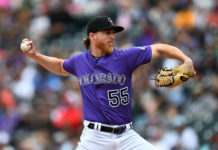 Rockies fans can vote for all of their favorite players HERE.